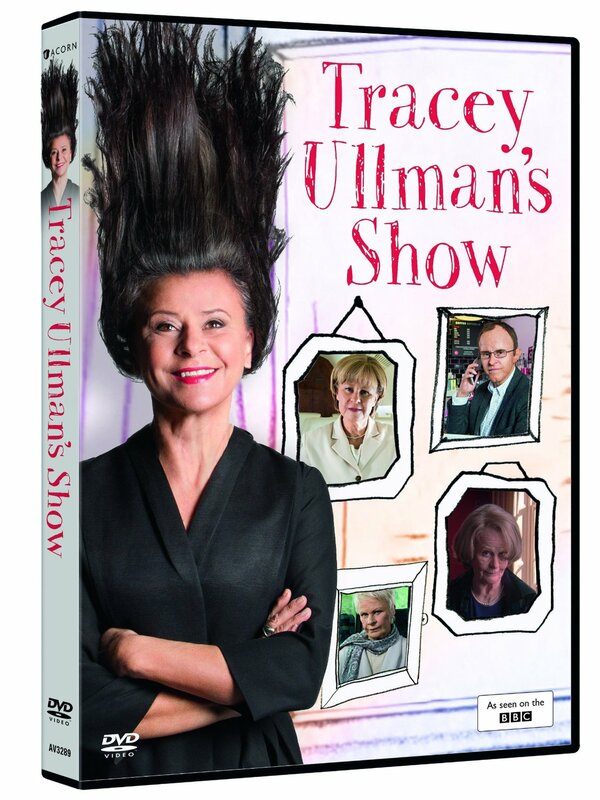 COMEDIENNE Tracey Ullman wears many disguises in her new smash-hit US TV show. British-born Tracey speaks to SANDRO MONETTI about how she’s become a big star in America but can’t sell her series in the UK. She’s Britain’s most successful comedy export but Tracey Ullman risks becoming a forgotten figure back home. For no UK channel has bought her latest smash-hit US series, State Of The Union, and the snub has wiped the smile off the comedienne’s face. Stateside success has brought Ullman a personal fortune of £75million, making her our wealthiest comic, but it seemingly can’t buy her respect in Britain. “We’re struggling to sell the show to the BBC,” admits Tracey, 49. The series – in which she hilariously impersonates stars like Renée Zellweger, Helen Mirren and even David Beckham, as well as a series of American stereotypes – seems perfect for the YouTube generation with its fast-paced, fun sketches but it hasn’t sufficiently impressed bosses at the BBC who gave Ullman her start in Eighties shows like Three Of A Kind. Yet the Beeb has been badly wrong about her comedic instincts before – most notably when they screened her first US series, The Tracey Ullman Show, in 1987. That one featured the TV debut of animation sensations The Simpsons, who appeared in short films between the sketches. Tracey won that battle and The Simpsons spun off into their own show which, 20 series later, has become the longest-running series in US television history. Having been there at the beginning, Tracey also gets an annual share of the show’s profits and that’s what is largely responsible for her huge wealth. Like The Simpsons, she has been a constant fixture on US screens for the past two decades, in her own shows and specials, in TV guest roles ranging from playing Ally McBeal’s therapist to a dog trainer on The Simpsons, and also in movies including Small Time Crooks and Plenty, but she is getting the best reviews of her career for State Of The Union, a comedic look at her adopted country’s obsession with celebrities, which is now in its second series. Although she mocks America on screen, she has a great deal of affection for the country in which her show business dreams have come true. She is the only foreign comedienne to have success on US TV and, as such, Ullman is something of a standard bearer for aspirational Brits in Hollywood. 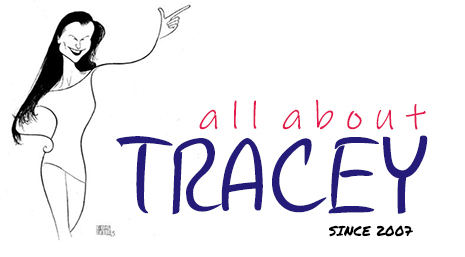 Tracey was an inspirational figure for Nigel Lythgoe, the British choreographer, TV producer and Popstars judge who in this decade became a major figure in US TV as producer of American Idol and judge on So You Think You Can Dance. Last month Lythgoe, along with the likes of Cat Deeley, Russell Brand, Peter Kay and Sharon Osbourne, was in the audience when Tracey received the Charlie Chaplin Career Achievement Award at the British Comedy Festival in Los Angeles. The Slough-born star enjoys triumphs now but it was a tragedy that first made her a performer. When she was six-year-old her father, Antony, suffered a heart attack while reading her a bedtime story and died. To cheer up her distraught mother, Dorin, Tracey would put on shows in her mother’s bedroom. She would draw the curtains, use the windowsill as a stage and Dorin would sit on the bed laughing. At 12, Tracey enrolled at the Italia Conti stage school where she developed her singing, dancing, acting and comedic talents. Soon after leaving she joined the Second Generation dance troupe, graduated into West End musical roles and then moved into comedy and was spotted by the BBC. They cast her in sketch shows A Kick Up The Eighties, with Rik Mayall, and then the hugely popular Three Of A Kind, alongside Lenny Henry and David Copperfield. She followed that with ITV sitcom Girls On Top, co-starring Dawn French and Jennifer Saunders. Tracey also launched a successful pop career despite having a voice that Melody Maker described as “Minnie Mouse mixed with the Supremes”. She had three top 10 hits in 1983 with Breakaway, They Don’t Know and Move Over Darling. mong them was James L Brooks, who created The Tracey Ullman Show for her and saw it become an instant hit. Ullman had moved to LA with her British husband – Auf Wiedersehen Pet producer Allan McKeown – to make the show and they are still there now, and still happy after 25 years of marriage. The couple have two children, Mabel, 23, and Jon, 17. 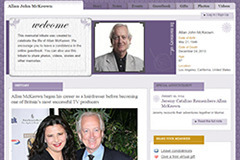 She worked with Allan on a string of other acclaimed shows, including Tracey Takes On and A Class Act, which made her a beloved figure in US comedy. Ullman has won America’s most coveted TV award, the Emmy, seven times and been inducted into the country’s Museum of Television. Yet her greatest triumph could be her latest one. US critics reviewing State Of The Union have compared her work in it to the likes of Lenny Bruce and Robin Williams at their best. If the show doesn’t get seen in Britain, Tracey won’t have a Susan Boyle-style meltdown over it. The star of State Of The Union is also happy about the state of her career.